The unpredictability of PR crises underscore the importance of crisis communications planning. Yet crisis communications experts report that fewer than 20% of all organizations have a crisis communications plan. Oh, they may plan to have one...they just haven't executed the plan -- yet! But most organizations would rather reserve big spending for operational improvements instead of crisis communications counselors. You can do that – but you need to put a crisis plan in place now. Don’t think PR crises happen just to the “bad guys.” Even those organizations focused on CSR, social good, green, and yes, even B Corporations -- they all need crisis PR plans. Remember the fall-out when Seventh Generation sacked its founder, Jeffrey Hollender? After the crisis had passed, PR News approached me, asking to expand a blog post into a case study for their Crisis Management Guidebook. I ran the case study by Jeffrey Hollender, and he encouraged me to share his feedback with you: "This is an excellent and insightful story, full of advice every company facing a transition or crisis should follow." The guidebook contains more than 50 articles by leading crisis communications experts, including James E. Lukaszewski, Katie Paine, Richard Levick, and some of the top minds from industry, academia, and the biggest global PR firms. 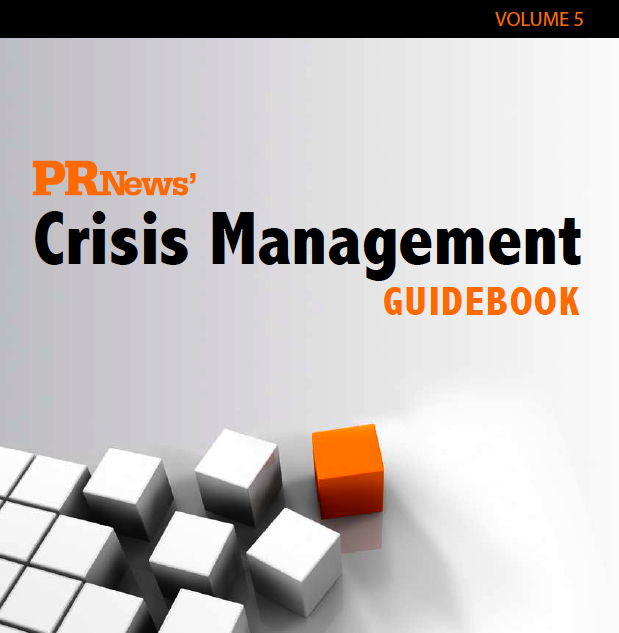 The fifth edition of the PR News Crisis Management Guidebook offers best-in-class advice at less than the cost of a brief consultation with one of these experts. Interested? Email me at lynn @ 4greenps dot com and I’ll send you a special “friend of the firm” discount on the handbook. You can download the Table of Contents here.